It’s a fact that you will encounter almost everyday in any form of Credit Control a number of customers who will try an excuse to buy some time and hold on to their cash. A company has a legal obligation to meet its debts as they fall due. If they cannot they are technically trading whilst insolvent. The cheque is in the post – The oldest and worse excuse in the book! Ask them to send you a copy of the cheque if possible, then ask them to confirm the date it was processed or sent, the exact amount and cheque number, what address the cheque was sent to and was it sent First Class. If the debtor is telling the truth they will generally be willing to accept and answer your questions. If they are not, the excuse will probably not be used again because of the professionalism and through nature of your questioning. 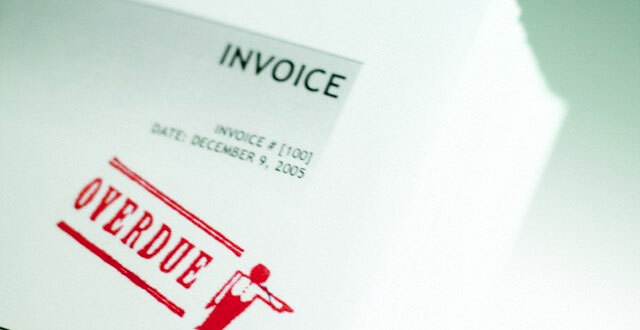 We have not received your invoice or statement – This is a very common delaying tactic. Firstly have the debtor confirm the address that you have to send invoices to for that client to check it is correct. Have the debtor confirm to you that this is the only reason for withholding payment, then use a “closed” question like “If I email you a copy of the invoice or statement will this account be paid today?” If the debtor is not prepared to make an agreement once the invoices or statements are received then this is often a sign that the excuse is a simple delaying tactic and more probing questioning is needed. The debtor is never available – As Debt Collectors this is something we experience on a daily basis. Though it is unusual for a customer never to be there, its often used as an excuse and delay tactic. To counter this, ask to speak to an alternative decision maker within the business. Call at different times of the day, even before 9am and after 5pm, ask for mobile numbers for the debtor or directors of the company or escalate or complaint to higher management. If this doesn’t work fax and post a “Letter Before Action”, to the Director’s of the company giving them 7 days to pay, put a stop on the customers account if necessary until payment is received. The Accounts Department are only open 9am to 12pm one day a week – if it sounds implausible then it often is, look and think about the size of the company, are they large enough to warrant having an accounts department? Are they a really large organisation that would need a large accounts department, that would be open during normal office hours? Be prepared to challenge the situation and ask yourself of the importance of this person in the payment process. A company Director or partner in the business should be perfectly able to forward payment and tie up loose ends before the Accounts Department finally make an appearance in their office. The Goods were Damaged not received or arrived late – Your debtor may have a legitimate claim here, but not however if the delivery was over a few weeks ago, question why they have not contacted you to discuss and sort out the problem. Most deliveries can be tracked online so check and verify the information the debtor is supplying you with, whilst you are talking to them. Ensure you investigate the nature of the debtors claim but request payment for the balance of the account. Act quickly to resolve any disputes so any invoices can be cleared as soon as possible. I am changing my bank account – Ask for proof of the situation and ask if the debtors new bank can call you to clarify the situation. Changing bank accounts is a very quick and easy process these days even for a business so this should not be holding up payment for a great amount of time a few days at the most. Point out to the debtor that their stance is unacceptable and that the costs of supporting the debtors non payment (I.E Interest Charges & Late Payment Fees) could be passed onto them if full and immediate settlement is not made. Push for payment either electronically or by way of a personal directors cheque. I’m too busy to pay you – If the debtor states this to you and if they genuinely are busy they then must be making plenty of money to pay your outstanding invoice. Use probing questions to ask how busy they are, when they are going to be paid and when you can expect your cash. Highlight to the debtor that in today’s modern environment everyone has access to online banking and it only takes a matter of seconds to process a payment to you. Press the debtor for immediate payment, if that cannot be accommodated arrange a date within the next day or so and follow this up with the debtor if you are not paid on the agreed date. I have a cashflow problem – The cash shortage is their problem, you have carried out work in good faith and expect to be paid for the work you have completed. Ask the debtor if they would be willing to pay by instalments or even post dated cheques given the severity of the situation. Be sure to monitor any instalment plan that can be agreed to ensure that the correct amount and date of the payments coming across is being adhered to, call the debtor and find out the situation if any instalment is defaulted on. The signatory is deceased – Not much you can do immediately with a case like this. There is often a good deal of paperwork to be completed prior to any funds being released from the deceased person’s estate. Verification of the deceased’s position however is essential. A sympathetic and polite approach is required, find out who is dealing with the deceased’s affairs, their contact details, and when they expect payment to be received. Always verify the details given, sometimes accounts can be opened in the deceased’s name by a fraudster to try and obtain goods. Share the post "10 Excuses for Non Payment & How To Deal With Them"